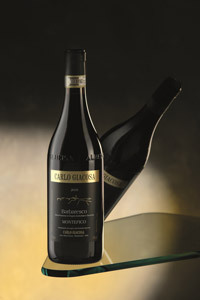 Barbaresco is our most important wine and we produce three versions, all made from the Nebbiolo grape, yet differing in characteristics according to the naturally -occurring variations in the terroir. BarbarescoMontefico derives from vines grown on a particularly favourable, sunny, south-facing hillside, Narìn is produced from a blend of the Asili, Cole and Ovello crus, and Luca Barbaresco Riserva is an elegant Reserve. These are excellently-structured wines, suitable for ageing and capable of filling the glass with their perfumes and the the nose and mouth with enjoyment! 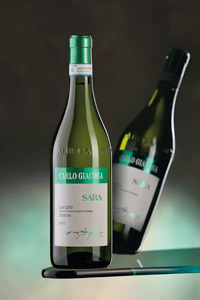 These big wines are best matched with substantial red meat dishes or with rich, matured cheeses. 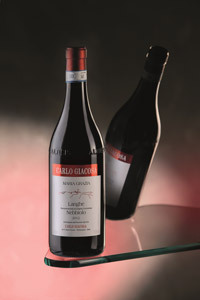 The Nebbiolo vine is a jewel with many facets, however, and can also be employed to produce youthful wines that can be enjoyed in an uncommitted way with any meal, however simple. 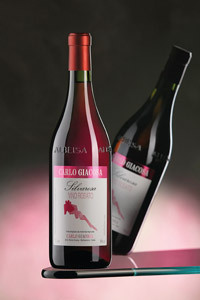 We produce two: one is Langhe Nebbiolo, dedicated Maria Grazia Giacosa, and the other is called Silvarosa, a delightfully elegant rosé with deliciously fruity perfumes. From our Dolcetto vines, we make Dolcetto d’Alba ‘Cuchet’, a youthful wine that can be consumed with any meal. With its deep violet colour and fragrantly fruity perfumes, this a wine that is particularly delicious when matched with local Langa salami and cheeses, snacks or a hearty lunch. 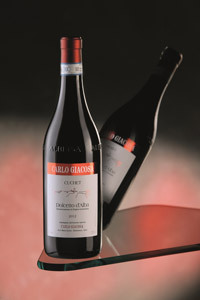 Form our Barbera grapes, we produce two Barbera d’Albas. ‘Mucin’ is the fresher and more fragrant of the two, with fruity perfumes and a youthful, readily approachable flavour. 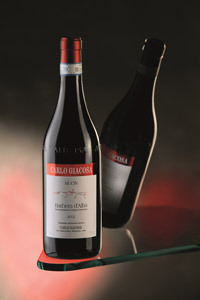 The other, dedicated to Carlo’s mother Lina, is a Barbera which we age for a year in small oak barrique and possesses a complex bouquet with spicy and ethereal notes. Both of our Barberas include grapes cultivated by local vignerons who are close friends of the family and who care for their vines just as much as we do.